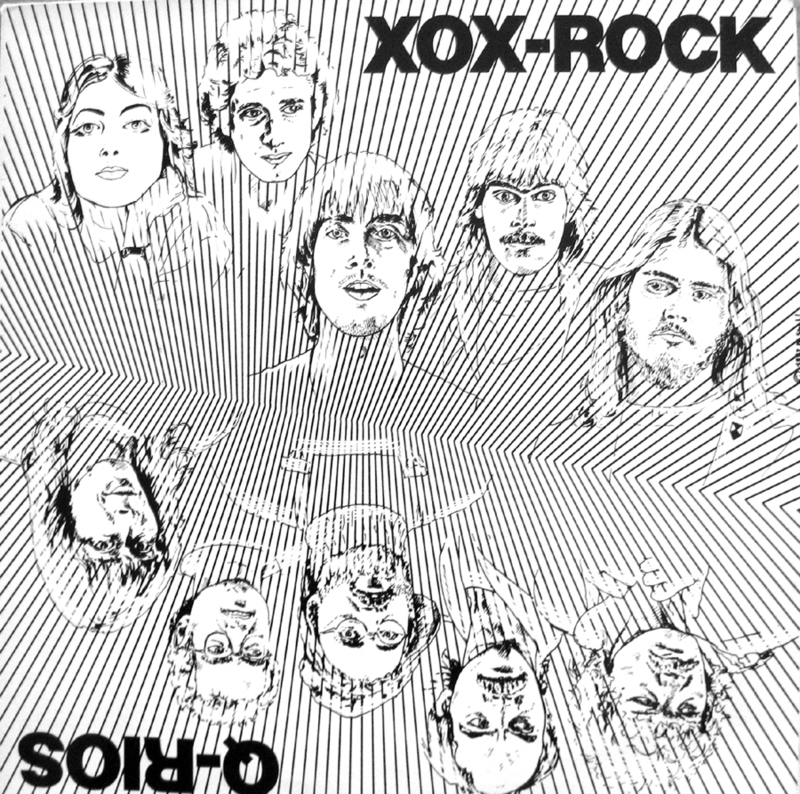 Because I really like this record I`ll make an exception this week and post a LP. 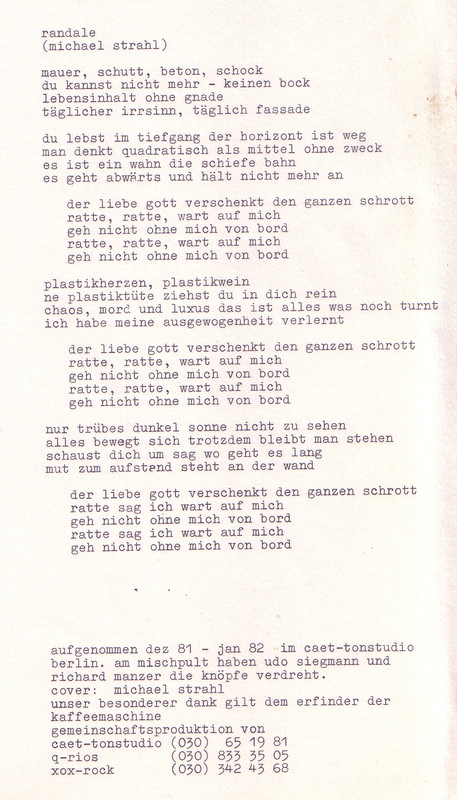 I didn`t know what it was until I took it home and saw that the sleeve was signed by M. Strahl. 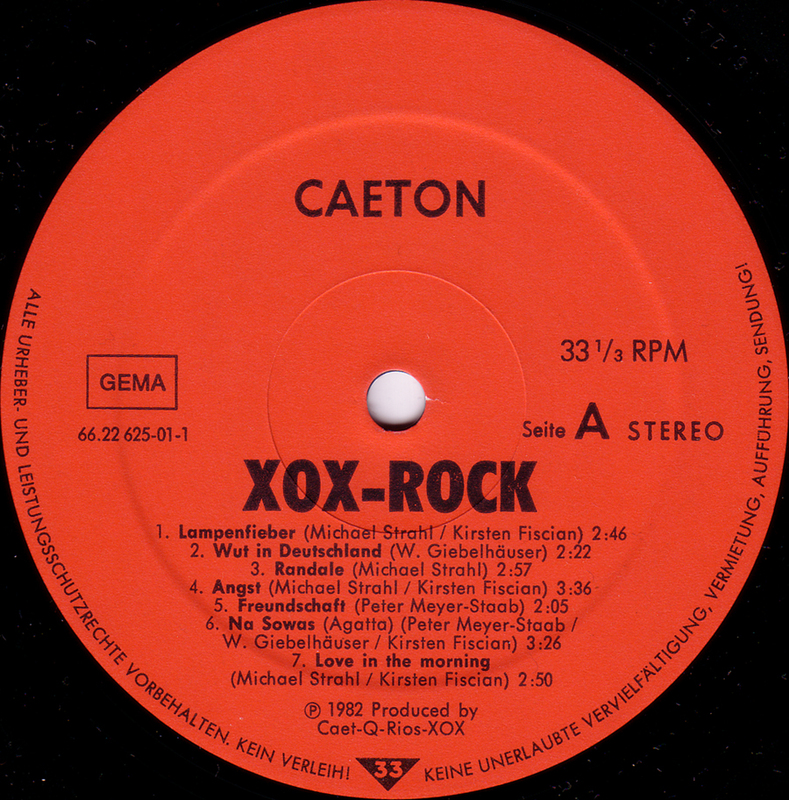 When I checked the insert it listed Michael Strahl as the guitarist of XOX-Rock. 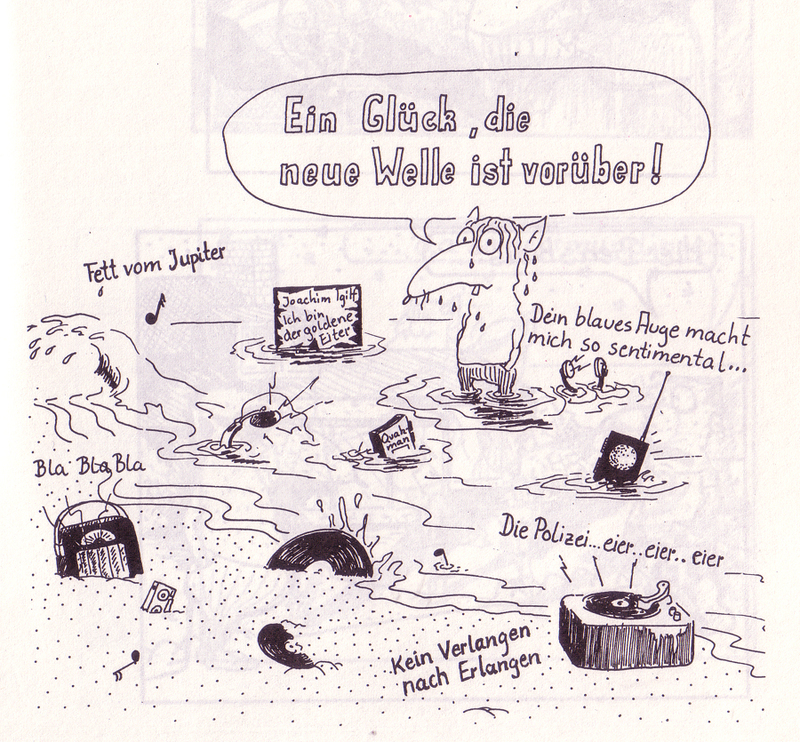 Immediately I realized that it was the same Michael Strahl that was also a well-known Berlin Underground-Cartoonist in the 80`s. 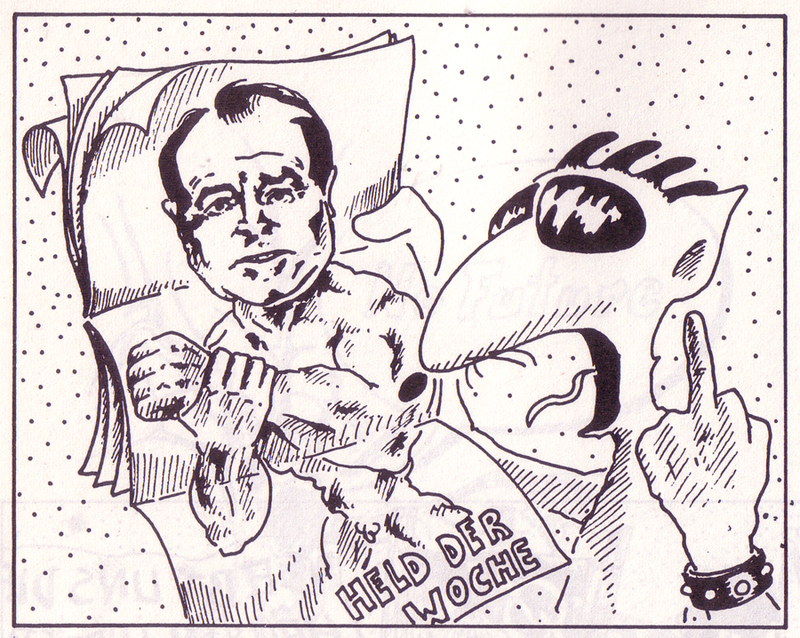 His comic-strip Paul, die Ratte (Paul, The Rat) appeared in the independent bi-weekly entertainment guide Zitty for many years. 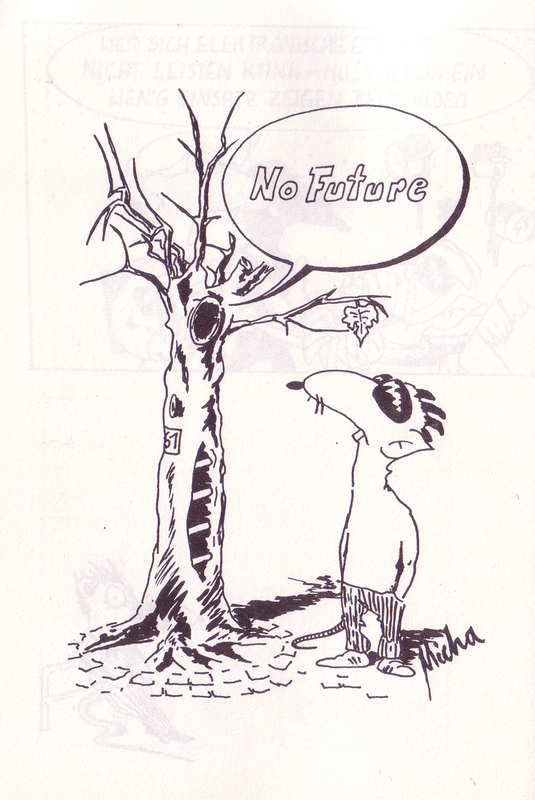 Whenever I was visiting Berlin as a teenager I read his strips and liked them very much. I have one book of his collected strips from 1983. 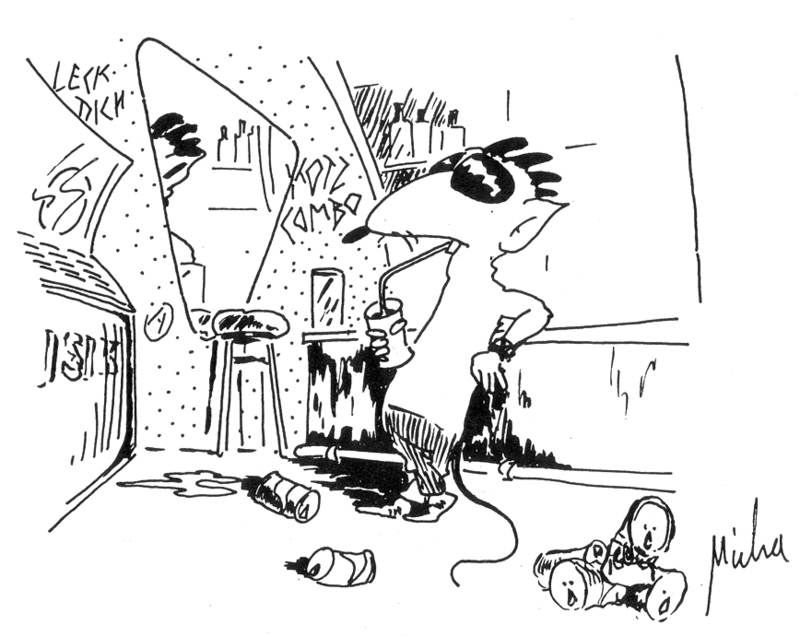 The strip centered around the adventures of Paul, The Rat and his rock group the Kotz Combo (The Vomit Combo). No other Berlin strip captured the spirit of the Berlin rock scene in the 80`s so vividly. 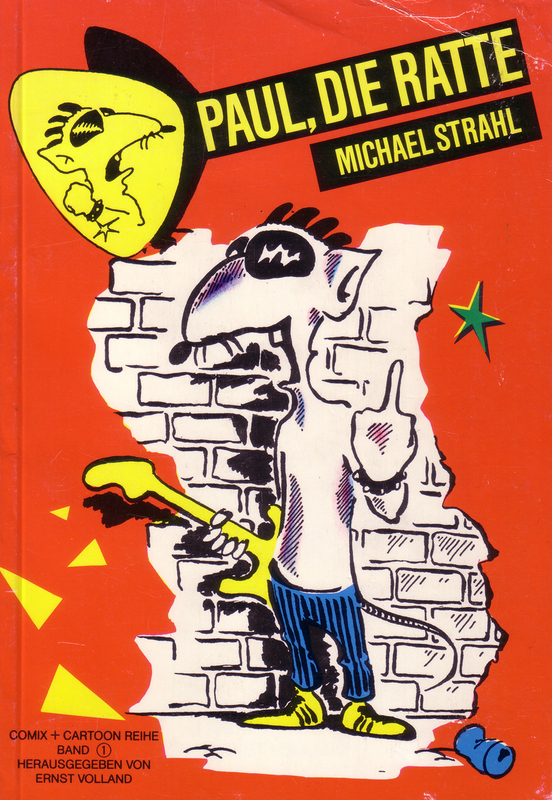 Much like other first generation Underground Cartoonists from Berlin like Tomas M. Bunk, Harald Juch, Peter Petri, Hansi Kiefersauer, Fuchsi, Rolf Boyke, Detlef Surrey and others, Michael Strahl was published and also appeared in book collections at the time. 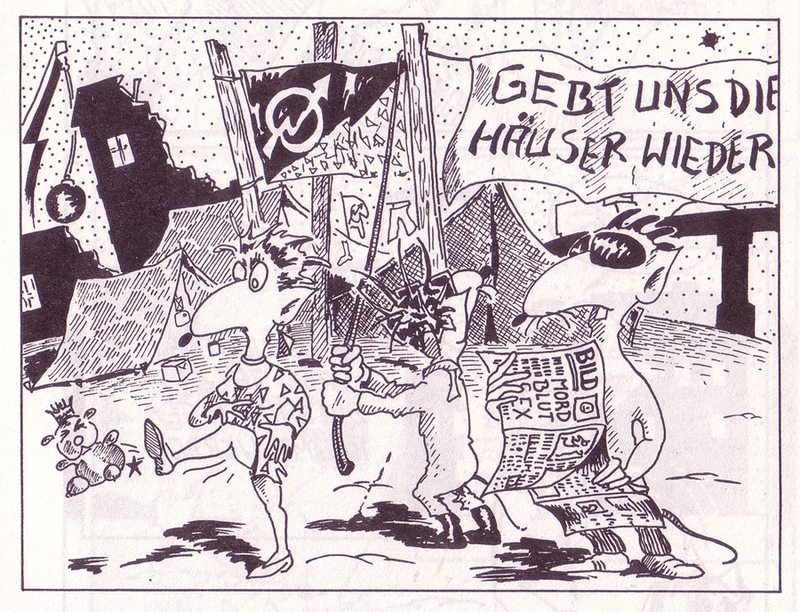 A crucial time for German Underground comics a lot of their stories centered around drugs, Rock`n`Roll and Politics: one of the leading themes being the squatter movement that was happening at the time. A record with a Detlef Surrey comic sleeve design in support of detained squatters was actually the first one I posted here. Sadly none of their collected work has been re-issued and is not available in comic book stores any more. Record collectors, specialists and Rock`n`Roll fanatics have a certain way of defining what is cool and collectible. Until some people make a creative decision to re-define that and start a new trend. A lot of the locally released Punk records for example were not included in the canon of Punk Rock until the Killed by Death re-issue compilations came out in the mid-90`s. A lot of rock groups of the early 80`s still had a big foot in the 70`s. They were not New Wave, not Punk and not Hard Rock. They were everything together. They were not pure. That automatically excluded them from becoming cult groups. 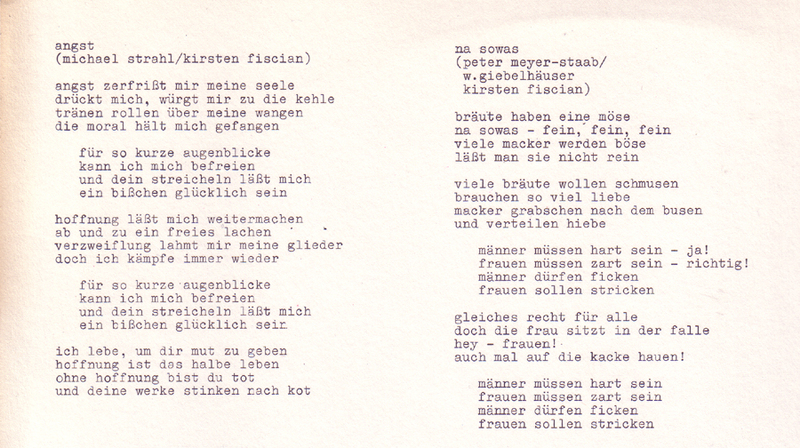 In the past I have posted some such records by local Berlin groups like Naasti, Prädikat Wertvoll, Extra, Sportpalast, Schlaflose Nächte and Rinnsteinsynphoniker. 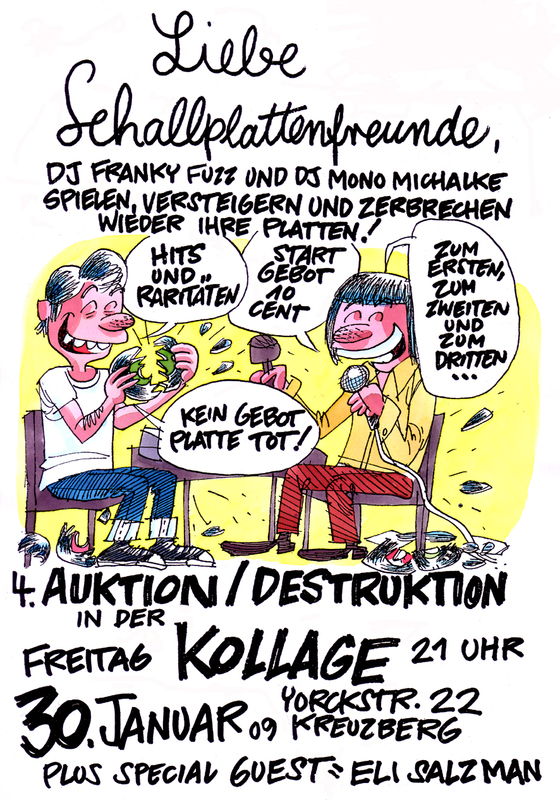 Tomorrow, Frank and I are going to play, auction and (hopefully) destroy some records again at the 4th auction/destruction happening at the Kollage in Kreuzberg. Performing at around 9:30 will be Eli Salzman from Santa Cruz, California. Come early and listen to Eli. Or come and look into my box of records so you`ll know what will be auctioned later. I recently bought a whole box (about 400) of hit records from the 70`s and 80`s at a thrift store in my street. Some great stuff but also real garbage. I`m looking forward to play, sell or destroy some of them next Friday. Frank just got back from traveling over a month in the US. He promised to sell some of the 45`s of that stack of records that he bought in Memphis and Philadelphia. Hope to see you! If you can read German you can see a new one-page comic about Auktion/Destruktion that will appear in Ox-Magazine next week, on my other site Monovision.